Full-color photos. 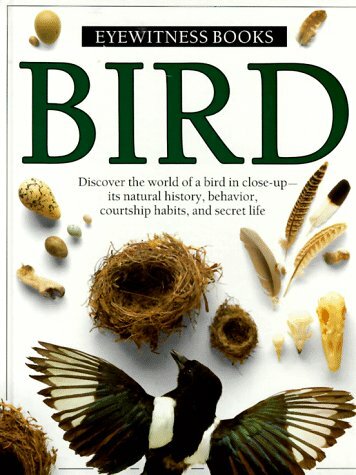 "Each spread is composed of full-color photos, sketches, and explanatory text covering the anatomy, behavior, and adaptations of birds and presented in a visually appealing manner that compels further page turning. The author leads us through all that is fascinating in our study of birds at a level of writing suitable for younger readers. A fine addition to school libraries at all levels." --(starred) Science Books & Films.